Vitamin C is one of the leading vitamins for immune support, and is one of the best antioxidants for fighting free radicals. ** Vitamin C also contributes to skin and heart health. ** These caplets provide you with a high-potency source of Vitamin C, along with the added support of bioflavonoids and wild rose hips. Directions: For adults, take one (1) caplet two times daily, preferably with meals. Other Ingredients: Vegetable Cellulose, Dicalcium Phosphate. Contains <2% of: Pharmaceutical Glaze, Vegetable Magnesium Stearate, Silica. Vitamin C 500 mg. with Protective Bioflavonoids & Wild Rose Hips Timed Release is rated 5.0 out of 5 by 4. 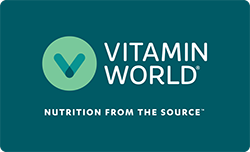 Rated 5 out of 5 by Sharon67 from Vitamin C 500 mg I trust all of the products that I purchase from Vitamin World. Your promotions are great and shopping in the store is beneficial as I can talk to your store associate/sales person. I take my vitamin C daily and will continue to do so.